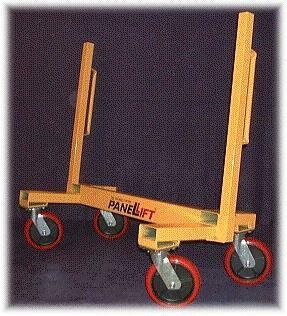 DRYWALL DOLLIE W/SWIVEL CASTORS Rentals Ft. Collins CO, Where to Rent DRYWALL DOLLIE W/SWIVEL CASTORS in Ft. Collins, Wellington, Greeley, LaPorte, Loveland, Windsor CO and all of Northern Colorado. LENGTH 48", WIDTH 22", HEIGHT 44", LOADING ROOM, 12" WIDE. * Please call us for any questions on our drywall dollie w/swivel castors rentals in Fort Collins, Wellington, Greeley, LaPorte, Loveland, Windsor CO and all of Northern Colorado.